The 2013 Asian Traditional Performing Arts Competition is an annual exhibition of traditional Asian dance and music. Not only does the event serve as an opportunity for young students to exhibit their talent and efforts, our longstanding hope is that we will advance a deeper understanding of the various Asian performing arts and cultures in American society. We will be accepting participants ranging from Pre-K to college. Our registration deadline is on Monday, November 9th 2013. 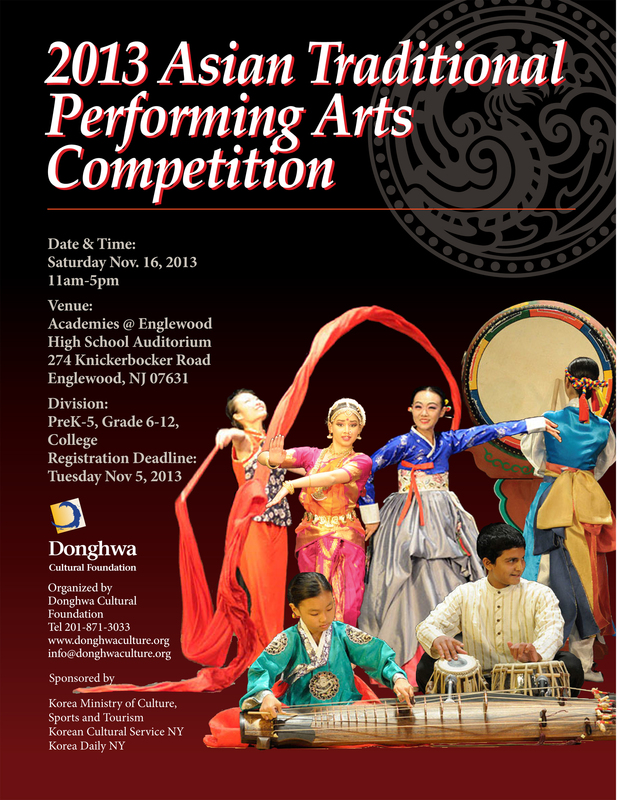 For more information, please call (201) 871-3033 or email us at info@donghwaculture.org.